The Musings of a 20 Something Novelist : 10 Things You Shouldn't Say to a Writer. Like Ever. 10 Things You Shouldn't Say to a Writer. Like Ever. Warning: My sassy level has reached an ultimate peek with this post. You have been warned. 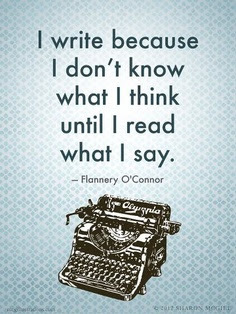 I found this picture with the ten things one shouldn't say to a writer. And I agree with everyone. In order to properly explain and reveal to you all what most writers think of such silly things, I will reply to each phrase/question. I don't own this image. Google does. 1. My little book? You mean my three part paranormal romance series where each novel reaches over 70,000 words? Yes. Indeed, I am still working on my "little book." Thanks for asking. Jerk. 2. Oh, yeah. You know, creating an alternate universe and trying to get the words to flow, then edit till your eyes feel like their bleeding. And then trying to find someone willing to publish it, which may take years in itself, all while being a full time student. You're right. How silly of me. 4. I'm sure your mother will be proud. And it will be a novel of the same merit as Fitzgerald...oh? Never heard of him? .... Look at your life. Look at your choices. No. 5. Yes, indeed they are. And I'm pursuing mine while you try to make your way with your...wait, what are you majoring in again? Undeclared? Sounds promising. 6. Um, yeah. Two books and counting. Move on, sir. Move on. 7. I'll think about it.... I'm done thinking. No. 8. And I have this great idea where you stop talking and walk away. Like right now. Buh-bye. 9. Or as I call it an imagination. And original thoughts. Something you may have never heard of. 10. Oh, so you have three full days to spare. Come and sit. I'll tell you everything. OR better yet...BUY THE BOOK AND READ IT YOURSELF. I mean, if you want. 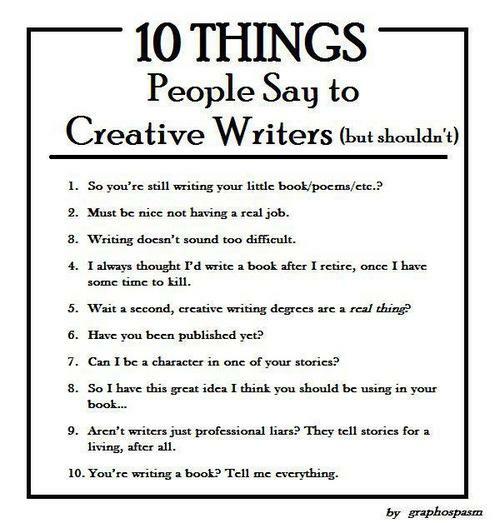 There you have it, the ten things one should never, ever say to a writer. We HATE these questions (at least I do). I hope this has been a learning experience and my other fellow writers out there enjoyed it. Wednesday, I will be doing a character interview with Paco Dyami from Forget Me Not. If any of you have any specific questions, feel free to leave them in the comments below.